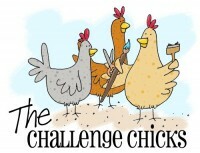 Just a super quickie post….sorry I’m late with it! Tonight ATS releases the new April stamp sets and here’s a few more samples for ya! stamps- Ladybug Friends by Cookie Crumbs; paper- Vanilla, Choc. Chip, Gable Green, Basic Grey Eva; ink- Memento Black; accessories- Copic markers, ribbon, eyelets, pop dots, EK Success scalloped circle punch, Cuttlebug Swiss Dots folder, Double Ended Tags Nestabilities, brads. And here’s a super duper teeny weeny tiny box…(notice the quarter for size)…now what am I gonna fit in that? LOL. I had a 50% off coupon and just had to use it on something….kwim? ;0) I thought this box die was too cute! I think it would be nice with rice or birdseed for wedding favors. Or it could hold some of the Easter colored chocolate covered sunflower seeds! 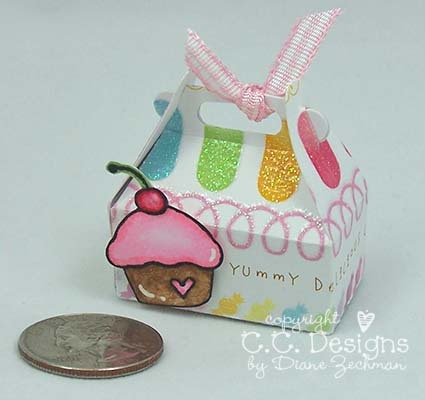 But here I used the little cupcake image from Christine’s Gingersnaps Celebrate! set. I’ll have to fill it with M&M’s or something else small. stamps- Gingersnaps Celebrate! ; paper- White, DCWV Sweet Stack; ink- Memento Black; accessories- Sizzix Carry All Box die, Copic markers, pop dot, gel pen, ribbon. Now head on over to All That Scraps and check out the new sets! 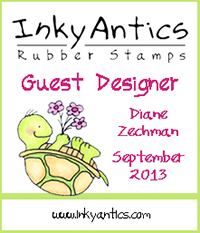 This entry was posted in 3D and altered art, cards, etc., CC Designs, Cookie Crumbs images, Sizzix. Bookmark the permalink. Diane both of these are just too much fun! 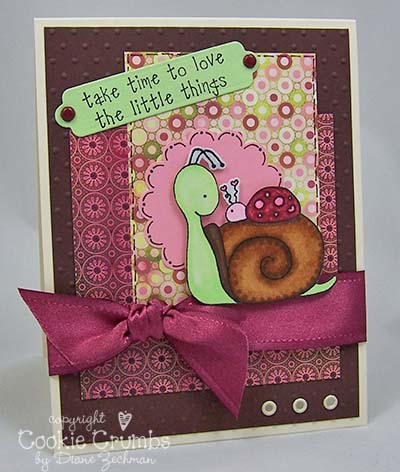 I love the colors on the card and the dottie look on the snail is so cool! 🙂 The box is so stinking cute. I love little mini things. I am going to have to look for that die. So so cute! This is GORGEOUS Diane! I LOVE the colors you used for this card…so rich and pretty! 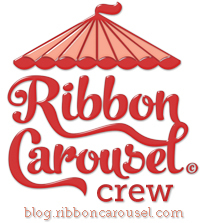 Where did you get that DELICIOUS ribbon??? I love your new blog banner. It is perfect for the new ATS release. I really enjoyed the release party last night and your samples were so beautiful and creative. I am loving those gel pens. What brand do you use? Have a wonderful day! Wow! Love your card and your new set! And that little box is too cute! Oh, Diane, I always get a little dose of happy when I come here. 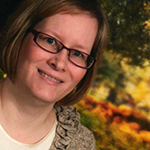 Your projects are so bright and fun and cheerful! Love these. So cute! !